I use better as a loose term, as it’s subjective. Those that have regularly reported incidences via roadsafe over the years may have already noticed a change. Many have mentioned that they feel the feedback from them has been poor but hopefully that is about to change. I first found out about the change when I reported an incident to roadsafe, one which I thought was extremely bad and worthy of at least a talking to the driver if not a prosecution. I got no response from road safe, even after chasing them about it. So I contacted someone I know who is part of the Cycle Task Force and works with Roadsafe and he passed on my concerns to PC Walters. I met with PC Walters a few days after raising my concerns, this was to take my statement for the case and to talk about how things can go forward. He is an experienced traffic officer with the Police, has worked in the Cycle Task Force and is a cyclist. He informed me that he is looking at videos sent to roadsafe and seeing if they warrant further action by the police. This can included prosecutions and section 59 orders placed on the driver and vehicle. PC Walters is the only officer working on this at roadsafe and he has only just started but from the feedback I am getting with him, the work he is doing is a really good improvement on a reporting system that many cyclists outside of London want from their own constabulary. I will continue to write about the progress and results that I have with PC Walters. I came across some new guidelines that all Police forces across the UK may take on board and apply to any footage taken by a road user. This came about from the below incident. I did the usual and forwarded the video on to RoadSafe London, they deemed that this was serious enough to warrant prosecution that they forwarded it on to the Traffic Criminal Justice Unit (TCJU) in Sidcup. The TCJU looked at the incident and responded with the following. After careful consideration of all the available evidence it has been decided that the other party will not be prosecuted for the offence of Driving without Due Care. I can confirm however that this office has written to the other party and reminded them of their responsibilities as a road user, to drive safely and comply with road traffic law. I thought the incident was clear-cut driving without due care. Quiet clearly the driver didn’t need to encroach into the cycle lane or come anywhere near it (watch the vehicle behind). I’m happy with the action that was taken, it is all I expected when I sent it to RoadSafe London. But I wanted to know more about why they had chosen not to prosecute. So I asked the TCJU if they could let me know why. Following guidelines of the Association of Chief Police Officers (ACPO) we decided not to initiate proceedings on this occasion. In relation to the concept of prosecution of mobile phone and other minor traffic offences from video submissions where and accident has not occurred, the ACPO Roads Policing following guidance form the Crown Prosecution Service and expert advice from Road Policing bodies, concluded that prosecution for offences based solely upon video evidence submitted by members of the public are unlikely. The value of evidence that has not been seized and stored according to the police business processes is limited form an evidential point of view. The ACPO recommends that a suitable letter to the registered owner of the vehicle would be proportionate where the submitted clips meet a high enough standard. I find it strange, that the Traffic Criminal Justice Unit class mobile phone use as a minor traffic offence. We all know from research that it is more dangerous than being drunk at the wheel. A person is to be regarded as driving without due care and attention if (and only if) the way he drives falls below what would be expected of a competent and careful driver. Well that seems fairly clear cut. I think that is well below what would be expected of a ‘competent and careful’ driver. Now onto the ACPO (Association of Chief Police Officers) guidelines, this took me several weeks to get hold of as it wasn’t a document that was already publicly available and the rest of it is a story for another day. The guidelines that were sent to me reference mainly an issue with a website policewitness.com and the fact that it is falsely advertising it self as having ties with the police, when it doesn’t. There is a small mention of video footage which I have quoted below, this is what the TCJU are referring to as ACPO guidelines. In relation to the concept of prosecution of mobile phone and other minor traffic offences from video submissions from this company, I have sought guidance from the Crown Prosecution Service (CPS) and expert advice from Roads Policing colleagues. It is the opinion of such experts that a prosecution for offences based solely upon this video evidence is unlikely and I have included further clarification in respect of this in Annex 1. I also have concerns that such an approach effectively removes the level of discretion and professional judgement used by officers when dealing with incidents or offences of this type, the value of which cannot be underplayed. The idea of a ‘vigilante’ approach of members of the public standing by the side of the road with mobile phones and video cameras should be argued against for safety reasons. And here crops up the ‘mobile phone and other minor traffic offences’, so it is Suzette Davenport Deputy Chief Constable, Northamptonshire Police, ACPO Lead For The Roads Policing Portfolio that thinks using a mobile phone whilst driving is a minor traffic offence. 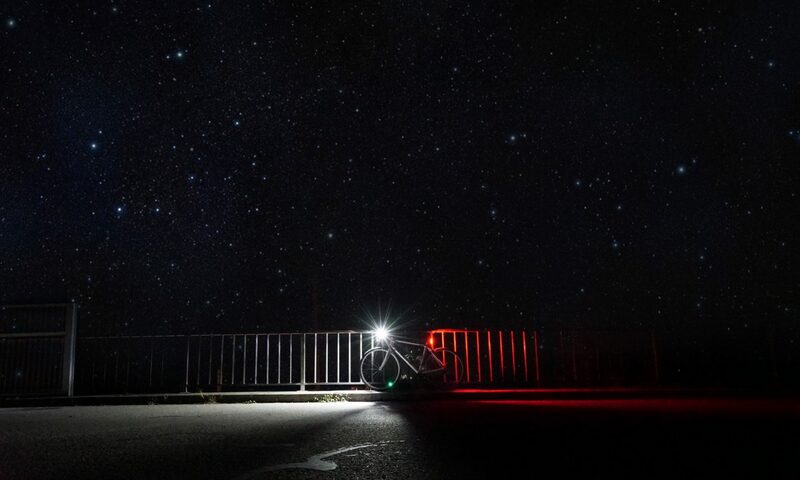 Whilst the CPS and expert Roads Policing colleagues might think that it is unlikely that there will be a prosecution for an offence based solely on video evidence, the results that some video camera cyclists have had paint a different picture. There must have been at least 10 in the last 2 years. It mentions concern for professional judgement used by officers, I don’t think anyone would question that, but why should that dismiss any video footage? The footage is information, information that you can analyse and use to make a professional judgement on a situation. Much better than a witness which may have forgotten something. Is it not also telling that if people are concerned enough about the safety on our roads that they are making videos and reporting them to the Police, that there is a problem? I contacted RoadSafe London about this and they forwarded my concerns to the Senior Manager of the Catford Traffic Criminal Justice Unit. Who said the following. I have examined the case file and I believe the correct decision was made. It is of some comfort that you were not injured and that no damage was caused. Hopefully reminding the other party of their responsibilities will have the desired effect. As I said before I’m happy with the action taken. As you can see the advice was intended to embrace all submissions falling into this category. I would agree that there have been instances such material has been used, but I would have to say that each case would have been dealt with on it’s merits and in close consultation with the CPS. This will continue to be the case. I think it is wrong to assume that the decision in this case represents a policy of rejecting submissions of video footage such as this without appropriate consideration. He slightly misquoted what was said in the letter, that is minor. I’m pleased to see that he states each case will be looked at individually and with close consultation with the CPS, this is the way it was previously done and should continue to be. Are these guidelines adding anything to the standard process? Or are they using the power of the CPS and ACPO as a sort of reason why we aren’t prosecuting (I’m sure they can easily say why they aren’t, which is the confusing part)? I contacted the officer marked as the contact on the ACPO guidelines and asked them if the letter was intended to be used for all forms of video footage taken or just those submitted by policewitness.com. I got the following response. The letter gave advice on dealing with video clips submitted by members of the public or third party companies which identified ‘minor’ Road Traffic Offences. The letter detailed how video footage alone would be unlikely to lead to a prosecution in these cases without strong supporting evidence. So it is meant for any report, which is disappointing to see. It is a real shame to see this coming from London. There has been some fantastic work put in by RoadSafe London over the past 3 years, which has seen a massive increase in reports coming in over that time due to a huge growth in road users getting video cameras. At the moment none of us truly expect more than a letter sent to the driver from the Police, which is something that was very much unheard of several years ago. Using a mobile phone whilst driving is a minor traffic offence? Should a clip be deemed less valuable because a prosecution is unlikely? Effectively they are saying, unless you were hit by the vehicle, we are not interested in prosecuting the driver. In the grand scheme of things, I don’t think this is going to change too much. It is still very rare for video footage to be used in a prosecution and where it has needed to be used, it has been. However it can easily have the effect that the Police do not care for road safety. As I said with so many road users up and down the country taking to the road with video cameras (not just cyclists) there must be something wrong with the way that some people are continually behaving on our roads. If they feel like they are being brushed aside because it is only ‘minor’, then they will lose faith in the Police force. For well over a year, a cycle lane in Ampere Way, Croydon was full with plastic jersey barriers. Preventing use of the cycle lane. A few weeks ago there was an update to the cycle lane along Ampere Way. It used to be like this. It is now like this. At least the cycle lane is now usable but the additional bollards now mean that the width of the cycle lane has decreased, road sweepers can not clean them and moving in and out of the cycle lane is difficult. The bollards have been placed on the left side of the painted lane boundary line, reducing the width that was once there. 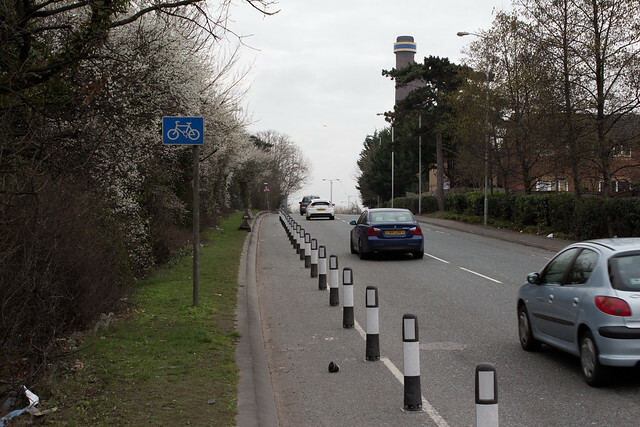 As we can see from the image below, the road is plenty wide enough for the cycle lane to have been increased in width considerably and still allow for motorised forms of transport to pass smoothly.